Dr. Jamshidinia is a renowned podiatric Bunion surgeon serving the greater Los Angeles area. Located in Beverly Hills/Los Angeles, Dr. Jamshidinia is dedicated to offering the highest level of care in a safe and controlled environment. He is focused on providing minimally invasive bunion treatments and strives to offer surgical and non-surgical bunion removal options as they fit for each patient. Dr Jamshidinia is a board certified Foot Surgeon, certified by the American Board of Foot & Ankle Surgery and is a Fellow of the American College of Foot & Ankle Surgeons. Having been published in peer reviewed journals & successfully performed over 10K procedures. 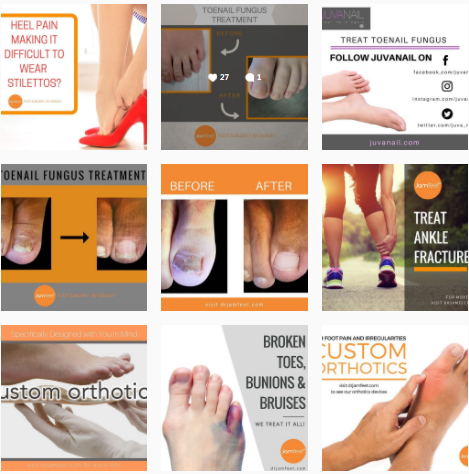 Dr Jam has become one of the most sought after Bunion Surgeons in the world. "I'm a heel lover. I love my pumps. Unfortunately, my bunions have made wearing them an excruciating experience for most of my life. Even just walking in general has been painful. I finally mustered up the courage to undergo surgery and I'm so glad I chose Dr. Jam. He is one of the most caring doctors I've dealt with. His gentle demeanor put me at ease and he explained everything about the procedure to me in full detail. I would recommend him to anyone seeking a stress free experience with this sort of thing." "I imagine Dr. Jamshidinia to be somewhat of a holistic healer. His peaceful demeanor calmed my nerves from the start, and his approach is refreshing. He takes into account the body as a whole when examining your problem areas. Even for something as simple as toenail fungus. I felt healed from the inside out. Great staff too!" Dr. Jamshidinia takes a great deal of time explaining my problems and my xray results to me. He uses skeleton models in his office to make his points and he makes sure you clearly understand the reason for the foot symptoms. He loves what he does and his passion for his work is palpable. Above all, he is the best I have seen in making insoles. I am now walking farther and longer than ever and my feet don’t hurt like they used to. I am so lucky that I found Dr. Jamshidinia. Dr. Jamshidinia at Tower Foot and Ankle Surgery is a board certified foot surgeon trained in all areas of foot and ankle surgery. Copyright © 2017 - Tower Foot and Ankle Surgery All rights reserved.